Why would a brand as reputable as Timberland create a separate line of workwear called “PRO"? After seeing more of this line, the is simple because the quality of the apparel will make you look like a professional. If you’re looking for a long sleeve shirt desi ... (see full details) (see specifications) #TB0A1128C77. 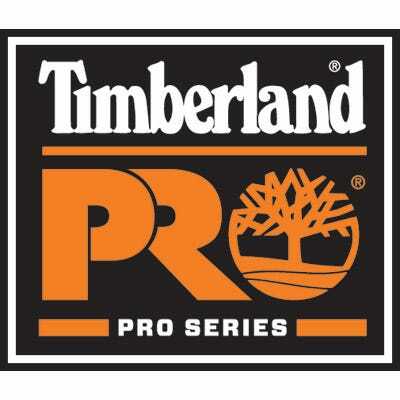 Why would a brand as reputable as Timberland create a separate line of workwear called “PRO"? After seeing more of this line, the is simple because the quality of the apparel will make you look like a professional. If you’re looking for a long sleeve shirt designed for the job, we recommend this Timberland PRO Workwear Men's Performance TB0A1128 C77 Yellow Work Shirt. This yellow men’s performance work shirt is crafted with a 4.5-ounce, 100% polyester knit fabric. This soft lightweight fabric is extremely durable but also breathable. To add even more softness and increase overall comfort, Timberland textured the knit. This rugged fabric combines with 3.4 ounces of polyester mesh that make up the side vented panels. The addition of vented panels further ensures that this quick-drying long-sleeve work shirt will keep you cool throughout the day. Even better, the two materials used to construct this men’s yellow performance shirt feature Timberland’s moisture-wicking and odor-fighting technologies. You can rest assured that you'll stay dry and odor-free throughout your day. On top of that, this long sleeve Timberland PRO shirt also has an Ultraviolet Protection Factor (UPF) of 50. To give you even more on the job comfort, Timberland added features that provide practical utility. This yellow workwear includes a tagless neck label and an elastic back with neck tape. Those two features enhance comfort and increase the durability of the garment. Integrated thumb holes allow you to protect your hands from the elements and give you the ability to provide another layer of insulation behind a pair of work gloves. You can probably already describe yourself as a “...professional.” Take your level of professionalism to the next level by getting a work shirt designed for the pros by choosing this Timberland PRO Workwear Men's Performance TB0A1128 C77 Yellow Work Shirt from Working Person's Store. Timberland PRO Workwear: Men's Performance TB0A1128 C77 Yellow Work Shirt is being added to your cart.